Baichuan Sang, who was born in Chifeng, Inner Mongolia in 1966, has a Ph.D. in Economics. He is currently positioned as the Dean of Institute of International Economics, UIBE; Professor in Economics; Doctoral Supervisor; Council member of China Association of International Trade; Chief Expert of the policy-making consultation office of the National Planning Office of Philosophy and Social Science; Chief Expert of the National Social Science Fund of China; appraisal expert in government procurement for central government departments; distinguished expert commentator on commercial affairs for China’s Ministry of Commerce; specially invited member for China International Investment Expert Committee; specially invited expert for China Council for International Investment Promotion; special commentator for China National Radio. China’s opening-door policy, foreign direct investment, China’s economic system reform, etc. He is a renowned scholar in international economics and trade discipline, and with outstanding academic achievements. 10.“Corporate Innovation and Development”, “The Joint Stock Cooperative System”, and etc. 6.The Research on Chinese Enterprise Group”, “China Model”, and etc. Published more than 300 academic papers on “Xinhua Digest”, “People’s Daily”, “People’s Daily Internal Reference”, “The Collection of Important Reports”, “Reform Internal Reference”, “Journal of Renmin University of China”, “Finance & Trade Economics”, “Economist”, “The China Review”, “Chinese Business Review”, “Academic Monthly”, “Economics Information”, “Reform”, “Journal of Contemporary Asia-Pacific Studies”, “Economic Herald”, “Intertrade”, Journal of International Trade”, “China Opening Journal”, and etc. Major projects of National Social Science Fund, projects of National Natural Science Foundation of China, major and key projects for China’s Ministry of Commerce, projects for the key research institute of humanities and social science of Ministry of Education, UNDP projects, etc. 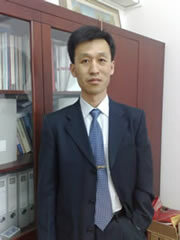 Professor Sang has been awarded with more than 10 ministerial or provincial awards, including 2 research achievement awards on Chinese business development, 2 An Zijie international trade research awards, 2 Beijing philosophy and social sciences outstanding achievement awards, science and technology progress award by State Development Planning Commission, national research achievement award on international business. Many results had been adopted by China’s Ministry of Commerce, Ministry of Science and Technology, National Development and Reform Commission and Beijing Municipal Government. In 2003, he has been awarded with the Capital May-first Labor Medal. Also, he has been receiving special government allowance from the State Council since 2004 and has been a selected member of the New Century Excellent Talents of Ministry of Education since 2007.